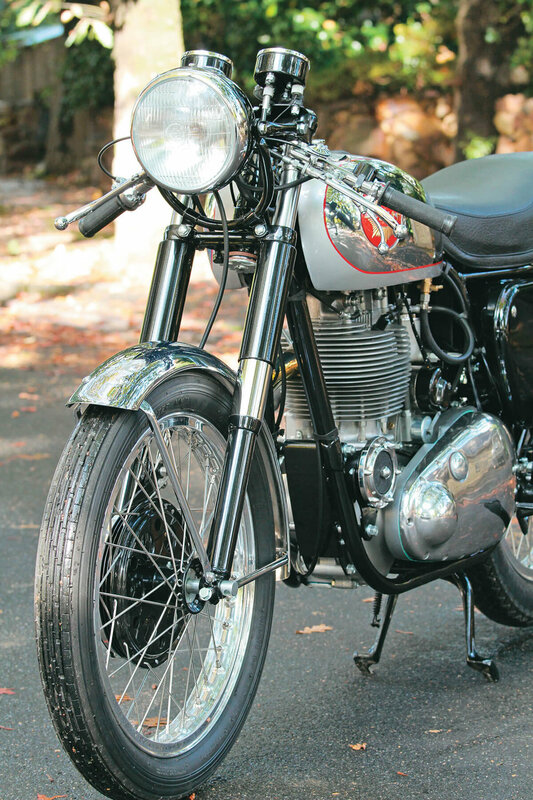 1955 BSA DB34 Gold Star - Clubmans Trim. My passion for the BSA Gold Star is as strong as the first time I ever saw one in 1973. At this sighting there were two bikes. One a Velocette Venom Thruxton and the other a BSA Clubman Gold Star. Seeing this Gold Star was like love at first sight. I had to have one but being an apprentice on very low wages meant that it was out of my league. In those days a good Gold Star fetched $3500. I acquired the remains of a 1955 BSA DB34 Gold Star around 2005. The bike was rebuilt to Clubmans trim with all the hard to ride (and find) parts like RRT2 gearbox and big 1.5 inch Amal GP carburettor. I didn’t want it any other way. It had been a long time before I acquired the bike I really wanted, but I did acquire some of the parts along the way, and glad I did. They went into the rebuild and restoration of the bike I have today. Ironically, when applying for a dating certificate for this bike, it worked out that this Gold Star was just two weeks older than I am, so maybe it was just a way of the bike finding me and not me finding it? And YES - of course - it goes like the clappers. On this job I used original Dunlop alloy rims. Very hard to find! 10ga stainless steel spokes. Gloss back powdercoat hubs, Nuts and bolts zinc plated. Brakes relined and machined. Bearings replaced. The Dunlop alloy rims, because of their scarcity, really set these wheels apart.